Valencia Basket will visit for the first time in a European competition the court of Maccabi FOX Tel Aviv (Thursday 7, 20:05, Menora Mivtachim Arena, Movistar Sports 2) in a game in which it will try to assert their good precedents in Israel (has won in five of his six visits) to break a bad streak in the Turkish Airlines Euroleague that has led the orange squad to chain six defeats in a row. The taronja team has traveled this morning to Tel Aviv with only nine pro players, since for this game will maintain the same five absences that it had in the victory vs. MoraBanc Andorra: Joan Sastre, Bojan Dubljevic, Alberto Abalde, Antoine Diot and Latavious Williams. Forward Fernando San Emeterio can reach in this match the number of 150 matches in the maximum continental competition. 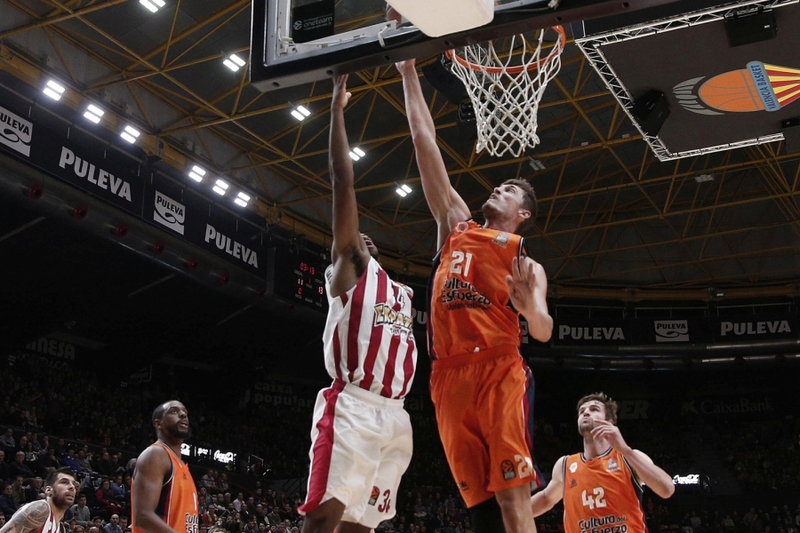 Valencia Basket comes to this match placed in the 12th position of the Turkisk Airlines Euroleague, with a balance of 3-7.